There were no great shocks in terms of the results in the Premier League come Sunday afternoon. Cardiff City’s win at Southampton maybe and perhaps Burnley defeating Brighton and Hove Albion 3-1 but nothing major. Having seen Tottenham Hotspur defeat Leicester City 3-1 it was the turn of Manchester City and Chelsea. This game was earmarked as a potential banana skin for Pep Guardiola in the title race and the hosts could not afford to drop points against a team full of top-quality players. However, with 25 minutes on the clock the match was over. Manchester City had raced into a 4-0 lead and sealed maximum points well ahead of half-time. The defending champions were the favourites to win the game but nobody inside the stadium could have predicted what was going to happen. Manchester City passed their way through the Chelsea press with ease and this left them with plenty of room to attack the visitors defence. It could easily have been more than 4-0 at half-time if Sergio Aguero had not missed a sitter and Manchester City went on to score two more goals without reply in the second half to seal an emphatic 6-0 victory. It was a great boost to Manchester City’s title hopes but left Chelsea sitting outside the top four and in danger of failing to qualify for the Champions League again. There is plenty of football still to be played this season but there have been some worrying results for Chelsea and their manager, Maurizio Sarri is under pressure. Their away form reads four straight defeats during which Chelsea have conceded 13 goals and failed to find the back of the net once themselves. Three of the four games have been against teams in the top six but one was a 4-0 thrashing at Bournemouth. Sarri has clearly got problems when it comes to setting his team up to play away from home and the players are either not responding to his instructions or his tactics are simply not working. 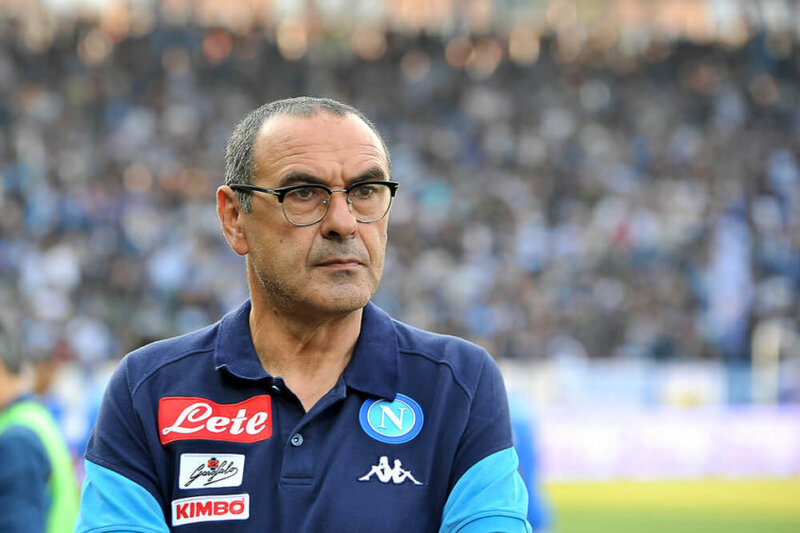 Whichever it may be, Sarri is now favourite to be the next man sacked in the Premier League at 4/5 with BetVictor. Speaking after the game on Sunday Sarri said, “In the last three matches away we’ve played very badly so we need to say sorry”. Clearly the result at Manchester City was not all Sarri’s fault and the players were poor but his tactics of pressing high did not work. The Italian wants to play in a certain way but sometimes you need to adapt depending on the opposition and there was a failure to do that at the Etihad on Sunday. Continuing to play N’Golo Kante out of position is baffling and he would have been the perfect player to sit in-front of the back four against a dangerous Manchester City attacking midfield.